Yesterday, I mapped out the next five months of blog content in my CoSchedule calendar. Yep – five months of weekly blog posts. I know what I’ll be writing about until the end of March. 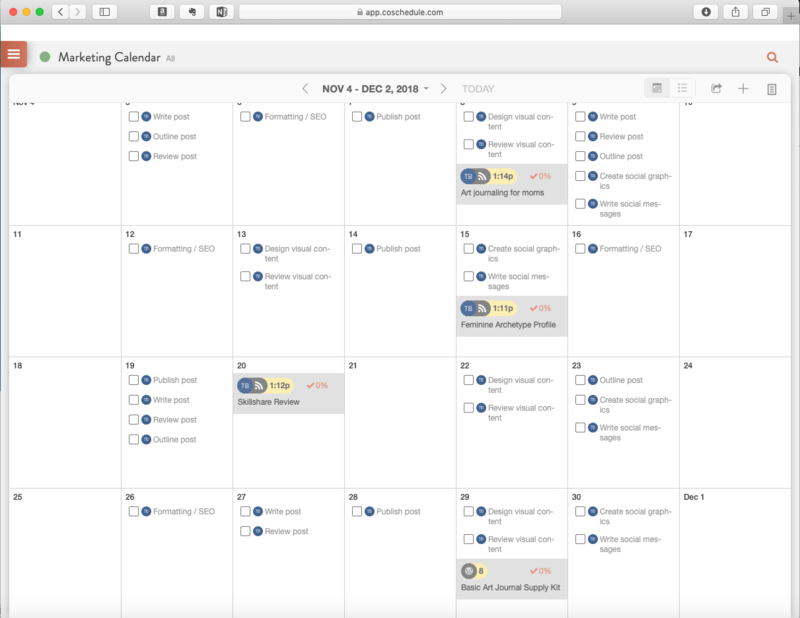 Once I attach the workflow to a new blog post, CoSchedule automatically distributes those tasks around the calendar over the two weeks leading up to the publication date of the post. Gone are the days when I’m pounding out a blog post at 5am the day I’m supposed to publish! Normally, the next step would be to hop over to another app and start scheduling social media posts. With CoSchedule, I can do it right from my editorial calendar. Plus, the ReQueue features automatically fills in gaps in my social media posting schedule with evergreen messages. No more spending 16 hours on Twitter and Instagram! Plus, there’s some nifty AI going on that figures out the best times to send social media messages and automatically schedules them for those times. I’ve been able to fill my social queues with about a month’s worth of messages that are an intentional mix of post promotion and conversation. There’s still plenty of room for spontaneous sharing and chatter, but if I need to take a break from the digital world, ReQueue will step in and keep the flow going. 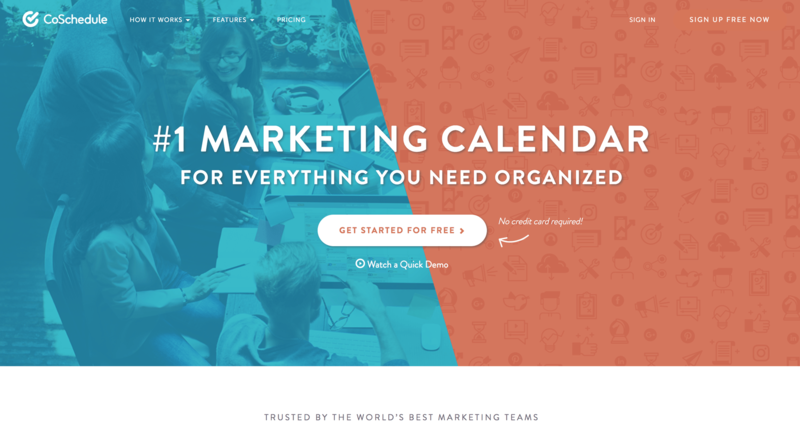 That’s the really big win with CoSchedule – it’s an entire system designed to give bloggers the freedom to walk away from the computer without neglecting your audience and your goals. So – will CoSchedule let you quit your day job and make six figures by Tuesday? Ok, probably not. But it will help you get there a lot faster than you would without it. Plus you get a full 30 days to try it out and see how it works for yourself.